BRIAN WOOD! ALEX ROSS! CLASSIC STAR WARS! * The perfect starting point for new readers! 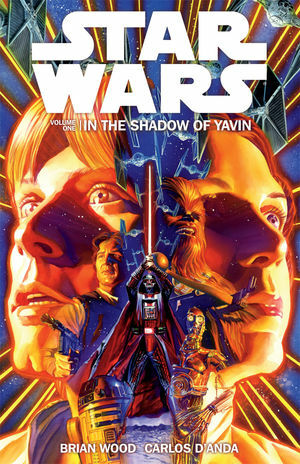 FC, 152 Pages; TP, 7" x 10"
Star Wars Volume 1: In the Shadow of Yavin TPB is available for pre-order at Things From Another World!